With integrated clamp. Made of die-cast zinc! Rotates in all directions. 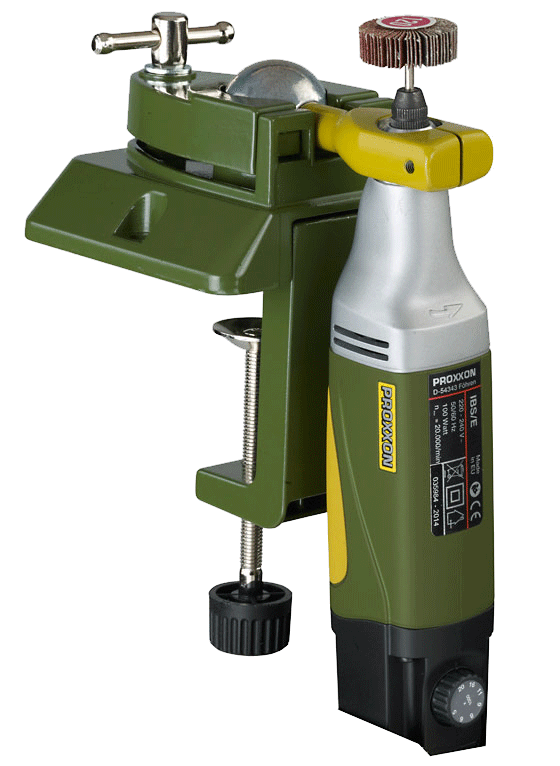 Easily clamps to workbenches and tables of up to 2 3/8" (60mm). Alternatively, use 2 standard screws to secure to the work surface. 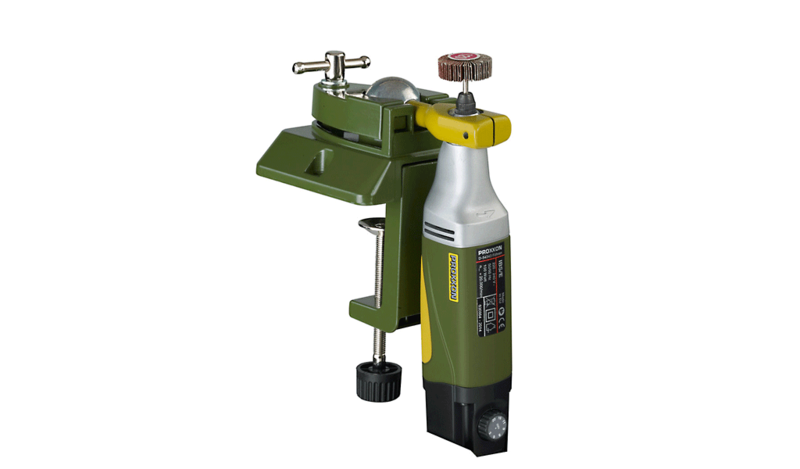 The 4/5" (20mm) bore accepts all MICROMOT drills and grinders, e.g. FBS 115/E, IBS/E, MICROMOT 50, 50/E and 50/EF, FBS 12/EF. The rotary tool shown here is not included in the delivery.